With a firm commitment to quality, we are offering superior quality Machine Design and Development Service. We design and manufacture tools for various machineries at our workshop. 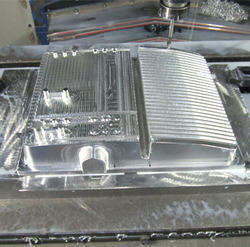 We are master in providing Machine Tools Design Service to customers. We design and build custom control enclosures and buildings to meet the widely varying demands of our customers. The goal is to satisfactorily deliver the highest quality in control products and supporting services to assure safe, reliable, cost-efficient and user-friendly operating systems, to exceed our customer's controls system and/or control product needs. Signode India has full-time, high-level trained and experienced field service engineers who repair and service your Signode India equipment and tools to high quality standards. 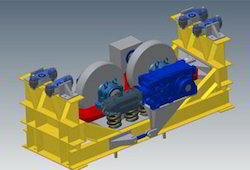 we provide Machine and machine part design, manufacturing drawing and analysis of parts. The 3D Advanced Machines Environment enables users to craft design concepts quickly and then create them with high accuracy. It can bring major rewards in today's market, providing a virtual prototyping tool that enables investigations to be performed very efficiently.